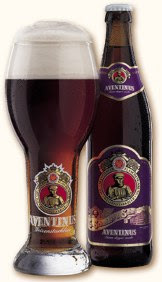 Aventinus wheat doppelbock. Bavaria from its strongest side. Wheat doppelbock 8.2 % vol. alc. This stuff is potent and GOOD. Oh so Good. Surprisingly widely available in the US.